I have always been tormented by the indefinites and uncertainties around me. During the last two-three decades much had seeped into me and there was a strong compulsion to write about it. Much in the book has been drawn from my experiences of growing up in this strife-torn valley. I was a confused child, lazy and inconspicuous. But at the same time, I was always conscious of everything that happened around me, and conscious of my existence in the world. Yet, I couldn’t break the social norms, which easily transform into familial norms. Norms, that wanted you to believe all that others believe collectively and hardly encourage you to believe yourself. I always knew that I wanted to write, but since nothing less than becoming a doctor or an engineer would gratify anyone, you had to live a disastrous life where any other alternative was a risk. Tell us something about your school and college, any particular anecdote that you still remember? I studied in Arun Public School at Natipora. It was a normal, low-profile English-medium school that, like many other schools, didn’t encourage innovation or originality. We had to rote-learn everything from a language subject to sciences to social sciences. I wouldn’t understand an atom of what I was taught. But there were many good things about it. We had teachers who were very strong in morals. My school was just in front of my ancestral graveyard. My classroom was on the second floor of the main building. It over looked the graveyard, the graves of my grandparents and farther to the vast commune of the Natipora neighbourhood. I still miss my school friends. I was enrolled in Amar Singh College as a fresh-private student. I graduated in arts and social sciences: political science, history and English literature privately while I taught at many private schools and tuitions. I have never had that typical college-life experience but I learnt a lot from school-teaching. And it was around this time I started writing in local newspapers. One January afternoon I walked eight kilometres from Natipora to Lal Chowk and back, through a knee-high blanket of snow, to see if my article, that I had sent to a newspaper for publication, was published. The snow had closed down the roads, there was no transport. I reached Abdulla News Agency at Amira Kadal—my hands were chilblained, my feet fully soaked and heavy, and my breath was vapourous from walking through the slush—only to find that that the article was not published. Tell us about yourself. What are your hobbies? What do you do when you are not writing? I am constantly exploring myself to find out what I could mean between belief and doubt, hope and despair, being and not-being, between laughing and solemnity, between gravity and sky, between sense and non-sense, between complacency and consciousness. My writing also must explore the same. I am consumed by wanderlust, I love to travel to new places. I enjoy shopping, I revel in get-togethers with my students, I love to spend hours in browsing books in bookstores, I enjoy changing diapers of my kids. When I don’t write—and I am not a daily writer (sometimes I may not write for months together, yet, at times when it comes to writing, I write with the seriousness and nervousness of a murderer)—I teach at my university, I wander in my neighbourhood like a half-conspicuous nomad, I play non-sense games with my kids, I like to sweep and mop and wash, I visit my relatives, I’d go for grocery, go checking leaks in the plumbing at my home, I’d do some carpentry or digging here and there and do all kinds of odds. The day one of my teachers, who used to give me private tuitions, announced his appreciation for my responding to the textbook questions in my own words, something inside me said that I could write. I don’t remember exactly when but it was sometime in my seventh or eighth standard. Are the experiences that you have mentioned in your book based on someone you know, or events in your own life? The experiences are partly my own real experiences, partly imagined, partly manipulated—in short, everything a writer does to experiences in a work of fiction. Who is your favourite author and what is it that really strikes you about his/her work? I have an equal obsession with the two greatest Russian writers, Leo Tolstoy and Fyodor Dostoevsky. Both of them are master plotters. Tolstoy is vast, sharp, universal, spiritual and sincere. Dostoevsky is extremely conscious, very serious, unparalleled in exploring the human suffering in “abominable” anti-heroes of literature and characters we generally hate or ignore. I’d have loved to be born in an age in which both Tolstoy and Dostoevsky were contemporaries, with Anton Chekhov frequently paying visits to the place where both of them would guide me. The hardest part was to sit down and write. That was it. Yes, I admire Daniyal Mueenuddin from Pakistan, the wonderful Norwegian novelist Karl Ove Knausgaard and Zia Haidar Rehman from Bangladesh. This is a bunch of serious new writers I know, and perhaps there are more there I don’t know about. My collection of interlinked stories Scattered Souls is coming out summer next year. And I’m currently working on my next book, tentatively titled Living, Dying. It’s a crazy novel around the subject of death. What kinds of feedback you hear from your readers? The level of feedback is that some of my readers crazily flew down from places like Kolkata or Gujarat to Srinagar only to meet me and tell me that how my book had opened their eyes on Kashmir, a place highly misinformed by the mainstream media. 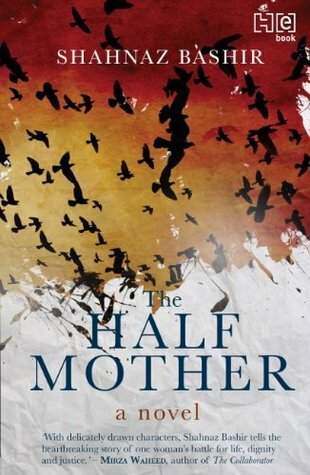 Since the publication of The Half Mother, every next day my inbox is clogged up with messages telling me how the book has made the reader cry. And it is such an inexplicable satisfaction. Any advice or message for budding Kashmiri writers? No advice, I don’t want to sound didactic. But I do have a request, please read and think thrice than you write, and read and write serious stuff, otherwise don’t. Emulate, don’t envy. Talk to each other rather than of each other. What is your take on Kashmiri culture, what efforts are you making to retain Kashmiri culture? First of all, I’m trying hard to understand Kashmiri culture in its totality since it’s in such a mess. I am also exhaustively trying to find possible ways to contribute my bit to my culture. If you notice, I have deliberately used dozens of Kashmiri words and sensibilities in my novel. I wish I knew how to write in Kashmiri in the first place, I would have never thought of writing in English. Never. I use Kashmiri language in the most parts of my university lectures. Even when I write in English, I think and imagine in Kashmiri. I am more than proud to be your student sir! May you succeed.